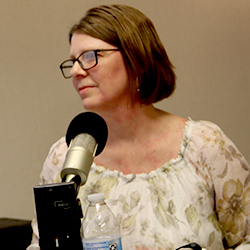 Darlene Finzer, a principal at Rea with a professional focus on financial elder abuse, joins Dave on unsuitable on Rea Radio to talk about this growing problem and how CPAs can prevent it from happening. It’s an unfortunate fact that hundreds of thousands of adults older than 60 are abused, neglected, or financially exploited. This topic is not an easy one, but it’s necessary to talk about – and it’s one that our guest is particularly passionate about. Darlene Finzer, a principal with Rea & Associates, is committed to educating others about the signs of financial abuse among the elderly. While elder abuse notoriously hard to detect, warning signs do exist, and it’s up to those who see the signs to speak up. Elder abuse generally falls under three main categories: abuse, neglect, and exploitation. As CPAs, as trusted advisors who are looking at investment documents and financial statements every day, we are in a prime position to see when individuals are being financially exploited, or even if someone is particularly susceptible to exploitation. And this is very much necessary because seniors lose about $36M annually – and that’s just the amount that is reported. It is estimated that one in 10 seniors in a private home setting are being exploited in some manner, and only one in 44 cases is actually being reported. About ⅓ of that money is stolen due to criminal fraud, but the remaining amount is taken by a family member or someone they are familiar with. The mandatory reporting of elder abuse by CPAs: why it’s necessary and when this policy was enacted. Why seniors are at risk for abuse. The first steps you should take if you suspect elder abuse. Fighting Back Against Elder Abuse – A new law requires CPAs to report suspected elder financial abuse. Read on to learn what we are looking for. Detect, Decrease, Defend – In this age of technological advancement, having your network security regularly updated is critical. Continue reading to learn more. Cost-Effective Ways To Deter Fraud – Small businesses tend to have limited financial and human resources. This makes them all the more vulnerable to fraud. Read on to learn about the cost-effective controls you can implement at your business for added protection. Is Your Business at Risk? – Smaller businesses with 100 or fewer employees are at a greater risk of fraud. Learn how to reduce your likelihood of becoming a victim.